While his message was directed at college students, the message is really universal. While the protection of speech is at the bedrock of our democracy, it’s critical as a nation that we exercise our right every day—and that includes embracing and engaging with those we may not agree with. Incidentally, while President Obama’s message may have resonated with the high school students sitting in the gymnasium, it falls on deaf ears with the nation’s largest teachers union. Recently, The Seventy Four and the American Federation for Children teamed up to hold forums focused on our nation’s education system. The first forum was held in New Hampshire and featured six of the leading Republican presidential candidates—all of whom sat for 45 minutes to speak in depth on education issues facing our nation. The events were unscripted, live, open to the public and forced candidates to talk policy specifics and not in soundbites. 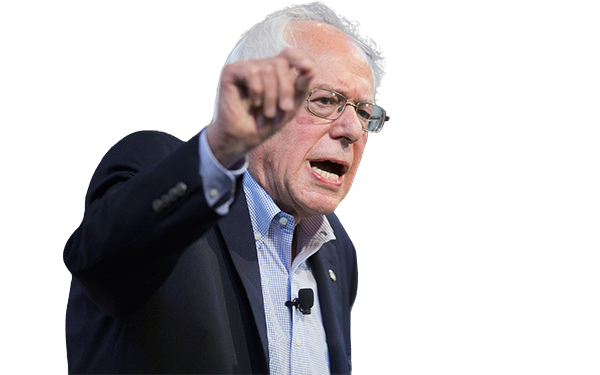 A second forum was to be held in Iowa and feature Democratic candidates for president. In addition to The Seventy Four and the American Federation for Children, the two organizations teamed up with The Des Moines Register, one of the nation’s most-respected newspapers. Unfortunately, this event will not take place, as POLITICO reported, the nation’s two largest teachers unions, the National Education Association (NEA) and the American Federation for Teachers (AFT), worked aggressively behind the scenes to kill the event. Rather than risk having Democratic candidates speak about education reform, perhaps celebrate the teachers unions' positions or perhaps break with the teachers unions (both the NEA and AFT have endorsed Secretary Clinton), the unions maneuvered behind the scenes to actively discourage candidates from participating. This form of bullying is anti-democratic. It diminishes the free engagement of ideas—just as the President said, with those you agree with but perhaps equally important, with those you disagree with. The teachers unions active attempt to undercut an event sponsored by two organizations dedicated to education reform and a highly respected newspaper perhaps says more about the AFT’s and NEA’s weakness than their strength. Voters have demonstrated time and again that candidates who buck the teachers union are rewarded. The NEA and AFT oppose empowering parents, they oppose charter schools, oppose common sense tenure reform that would protect good teachers and remove ineffective teachers, and they sue to stop parents from accessing school choice programs. Meanwhile, voters strongly support all of these issues which is why in 2014, despite spending an estimated $100 million, the NEA and AFT were largely seen as the biggest losers of the election cycle. In nearly all parts of the country, voters rebuked the teachers unions’ message and backed reform-minded candidates. Perhaps there is no greater evidence that the teachers union has swung too far out of the mainstream that they both have been a target of near-constant criticism from Secretary of Education Arne Duncan. In the end, while the NEA and AFT may claim a momentary victory by silencing discussion and debate on education reform, ultimately they will continue to lose the battle with public opinion. More and more parents and voters have rejected the teachers union antiquated, top-down, one-size-fits-all approach to education, and continue to elect candidates who embrace reform that celebrates students and empowers parents. Campbell Brown is the co-founder of The 74. 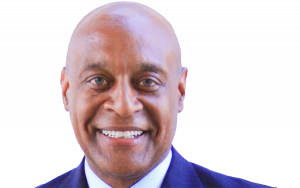 Kevin P. Chavous, a former District of Columbia City Council member, is an attorney, author, education reform activist, and president of academics, policy, and schools for K12 Inc.